Diabetes – Diet Related Epidemic? Curable? Natural Treatment? Diabetes is a disease that has been around a long time, dating back to more than 3500 years ago. Ancient Egyptian, Chinese, and Indian cultures reported excessive drinking of water, frequent urination, and “sweet” urine that certain people had exhibited from time to time. Before the discovery of the pancreas’ role in secreting insulin to control blood sugar levels, diabetes had remained much of a mystery. The word diabetes actually comes from a Greek word that means “siphon” and was so named due to how fluids are retained in the body. In 1880, diabetes in America was a very rare disease, only 2.8 out of every 100,000 (.0028% of the population) “got” or had it. During this time, diabetes was relatively rare in the rest of the world as well. The rise of diabetes within the last 137 years has been nothing short of epidemic. From 1997 to 2004, the number of diabetes cases increased by 54 percent, from 4.8 to 7.2% of the population in the USA. From 1880 0.0028% of the population to 7.4% of the total population having diabetes in 2004 tells us that something drastic has happened that has caused this dramatic rise. Poor people are 2.5 times more likely to develop diabetes than the more affluent. Blacks and minorities are 6 times more likely. Half of Texas children born after 2000 will have diabetes. The annual cost of diabetes care in the USA in 2002 was 264 billion dollars. The American Diabetes Association reports the following symptoms as those which are the early indicators that you might have diabetes. Remember, many cases of diabetes go undiagnosed or undetected every year. Frequent urination – When excessive glucose builds up in the blood, your kidneys work harder to filter this sugar. When they are unable to keep up, the sugar is excreted into the urine. This can cause dehydration due to excessive urination and loss of body fluids. Many diabetics report just not being able to drink enough during the day to “catch up”. Extreme hunger – The loss of sugar through excessive urination and sugar not being absorbed and utilized on a cellular level can cause hunger as the body signals that it needs more “food” to be nourished. Extreme fatigue and Irritability – Dehydration and the body’s lack of ability to be able to get the sugar into the cells for use, may cause fatigue. Any of the type 1 symptoms – The symptoms for type 1 can lead to incredible imbalances in the body which begins to have wider reaching effects as seen from the other symptoms listed below. 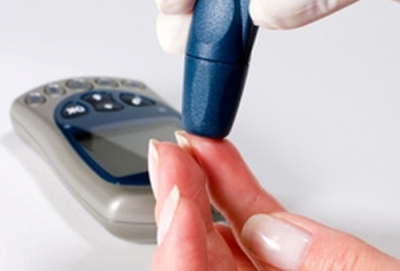 According to the Mayo Clinic, the cause of type 1 diabetes is unknown. In searching the website for the ADA (American Diabetes Association), you will be hard pressed to find verbage that says what the exact cause is for type 1 or type 2 diabetes. It is suspected that in the case of type 1 diabetes that the immune system mistakenly turns upon the insulin producing (islet) cells in the pancreas. If the body doesn’t produce insulin due to this damage, type 1 diabetes ensues. Mostly factors are due to what you inherit and also to immune system malfunction. In the case of type 2 diabetes, the islet cells are still functioning, however, the body can be resistant to insulin or the pancreas simply doesn’t produce enough of it to regulate sugar levels. The causes are more pronounced as being genetic or lifestyle driven. Given the suspected causes, is diabetes something that you just have to live with?! It would appear to me that diabetes boils down to a confused immune system, genetics and lifestyle choices. Another question we must address is that if we have seen such an ridiculous increase in the cases of diabetes in the last 130 year, what has changed with regards to our immune systems, genetics and lifestyle factors? The answer very simply is that much has changed. Dr. Gabriel Cousens, author of the book “There is a Cure for Diabetes” and “Rainbow Green Live Food Cuisine” and the foremost authority on healing diabetes through natural means, has researched and has discovered through experience what some of the main causes are that have given rise to epidemic levels of diabetes in the USA today. He says that type 2 diabetes is crime against wisdom (ancient ayurvedic saying) and is defined by refined white sugar, saturated animal fat, alcohol and junk food that causes a metabolic disorder of carbohydrate, lipid and protein metabolism. He also mentions that in every culture across the world where white sugar and white flour were introduced, diabetes occurred in massive numbers 20 years later. The one thing that has radically changed in the last 130 years has been our diet. Processed, packaged, artificially flavored, nutrient deficient and cooked food IS the main cause of diabetes. A poor diet can lead to poor immune system function and also to genetic predisposition that can affect subsequent generations, especially if the latest generation carries on the poor eating habits of their parents or grandparents. Dr. Cousens goes on to say how research is proving this and that other interesting factors are involved such as the effect of drinking cow’s milk at a young age. Children with diabetic genetic tendencies who drink cow’s milk have a 11-13 times higher rate of juvenile diabetes than children that are breast fed by their own mothers for at least 3 months. Just two times higher rates would be noteworthy, 11-13 times speaks loud and clear. The consumption of milk is directly associated with juvenile diabetes. Casein protein, which composes 87% of the protein content in milk, is the main ingredient for Elmer’s glue. There are more than 100 antigens found in milk. The result is that there are much higher levels of antibodies created. Finland, who consumes more milk than any other country, also has the highest rate of diabetes in the world. The antibodies to the antigens cross react with the beta cells of the pancreas, creating inflammation and scaring. This consequently destroys or blocks beta cell production of insulin. Cows milk is also the number 1 cause of food allergies among infants and children. In addition to drinking milk, he mentions that meat is not the ideal source of protein for humans and it causes insulin resistance. Metals like aluminum, mercury, lead, cadmium, arsenic, and fluoride may play a role in the destruction of the beta cells through stimulating an auto-immune reaction after having bonded to cells in the pancreas. Vaccines, coffee, and smoking also contribute heavily to diabetes. Diet. A major change in diet has to occur if people are going to begin to heal from diabetes. Dr. Cousens says that diet that is best in preventing type 2 diabetes is a high-complex carbohydrate, non animal fat, low plant fat, low glycemic/insulin and high in fiber. In other words a plant based diet most beneficial in this circumstance would be full of whole grains, legumes, nuts, seeds, and vegetables. This is mostly a return to where we were 130 years ago. Toxins. Look to your common everyday body care products and you will see hundreds of toxic chemicals. These toxic chemicals literally leech into our body through the skin. Our skin absorbs everything. We need to pay more attention to the things we expose our bodies too and use products that don’t contain harmful toxins. Look to organic soap, shampoo, conditioner, deodorant, cologne, laundry detergent, cleaning products, etc… Before 100 years ago, we didn’t have all of these toxic chemicals that are damaging our health. Supplements. Unfortunately, diet alone is not enough these days. Our food has become so nutritionally deficient that we lack things everyday that our bodies need in order to heal. Recently I read that in order to equal the nutrition found in 1 cup of spinach in 1940, we would have to eat 45 cups now. 45 cups! Our bodies need nutrients to rebuild and repair plain and simple. Organs, such as the pancreas, also need very specific nutrients to function properly. When organs are damaged or don’t function properly, they need even more nutritional support. Naturopaths believe that the body can not only heal itself from just about anything with the right tools or materials, but I also believe that you can rebuild parts of the body that have been damaged. 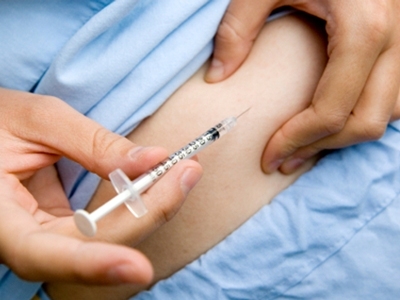 Is it possible to rebuild the cells in the pancreas responsible for producing insulin? Is it possible to rebuild the immune system to the point where it no longer is confused and attacks the body? Anything is possible and I have seen it happen first hand. Here in the clinic we use some powerful nutritional products that help the body to rebuild and repair. One of these products contains a mixture of natural substances to provide the body with enzymes, kidney, liver and gallbladder support, and special substances which help to actually rebuild the pancreas. Another product we use helps the body to effectively utilize insulin, improving the cellular receptivity of insulin and also enhancing glucose utilization throughout the body. In using these products, we make no claim against healing diabetes. No one product or substance heals the body; the body is itself the healer. It is magnificent and it can heal itself from just about anything with the right tools. If lack of nutrition caused the problem, making sure you get great nutrition though whole food supplement is the right first step. The supplements we use come from 100% natural/organic sources, and are not synthetic. If you are interested in have a consultation to learn about how diet and supplementation can improve your health and help you to heal, please contact us to set up your phone consultation today. I would love to help you learn about the ways your body wants to heal, and how you can overcome the health challenges you have.